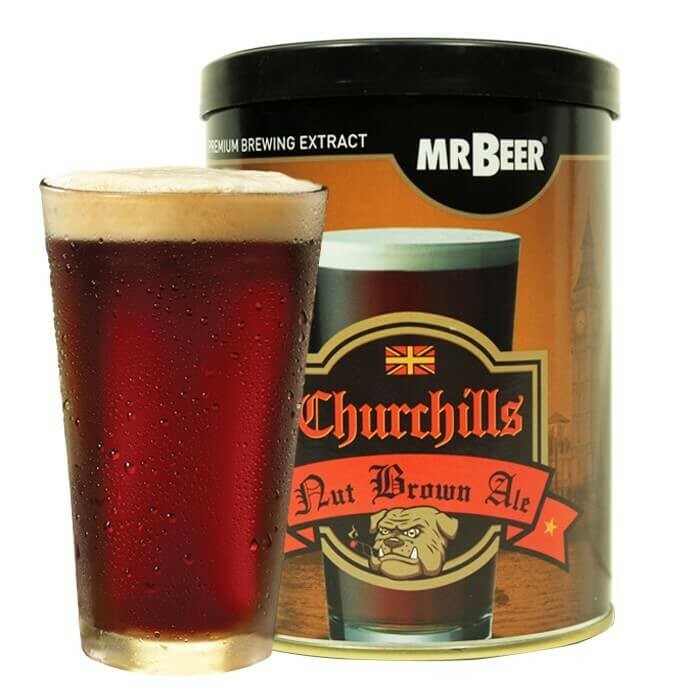 This traditional English Brown Ale boasts a deep reddish-brown hue that is offset by a light lacey head. A rich, chocolaty flavour balanced out by a slight hoppy finish make this old school brew complex and smooth all at once. It is no wonder this beer style has withstood the test of time. In the wise words of Mr. Churchill, "When you get a thing the way you want it, leave it alone." Designed to make 8.5 litres of quality craft beer. Our Craft Refill comes with 1 Can of Beer Concentrate and 1 packet of Mr.Beer Carbonation drops for bottling.